The social media giant Facebook has over 2 billion users. It is further complimented by the Facebook Messenger app that lets you message your friends and exchange photos over it. There are around 1.2 billion Messenger users out there in the world. But the irksome thing about the Messenger is the photo quality, which was limited to a 2k resolution. Users send more than more than 17 billion photos every month through Messenger, which is a lot of data to store. So to decrease the load, Facebook compresses the image, making it smaller in size and thus decreasing the image quality. Finally! Your prayers have been answered. 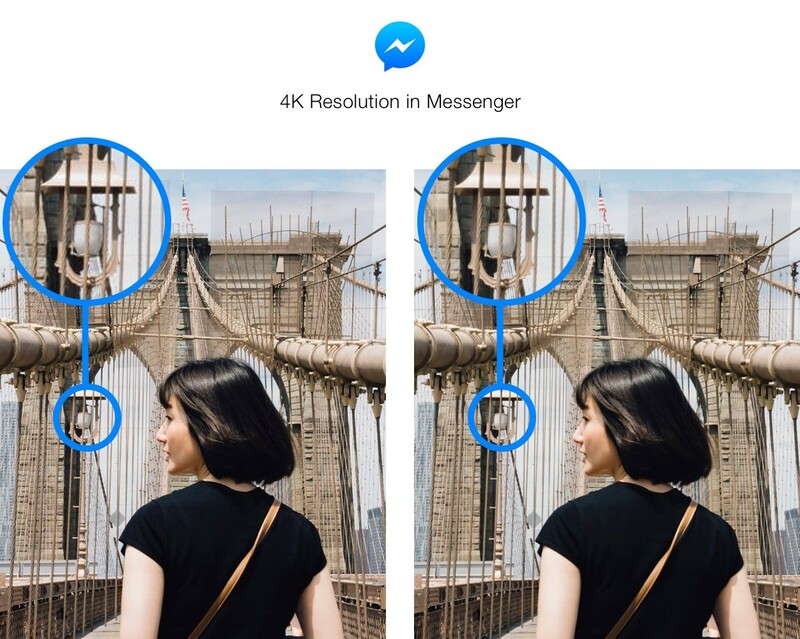 Sean Kelly and Hagen Green, Messenger Product Managers, have stated that Facebook Messenger has bumped up the image quality to 4k resolution (4,096 pixels by 4,096 pixels), the highest resolution supported by most smartphones currently. The 4k update was first seen on Tuesday by iPhone and Android users in U.S., Canada, France, Australia, the U.K., Singapore, Hong Kong, Japan and South Korea, and will reach other countries across the globe. “We heard that people want to send and receive high-resolution photos in Messenger, and considering people send more than 17 billion photos through Messenger every month, we’re making your conversations richer, sharper, and better than ever. 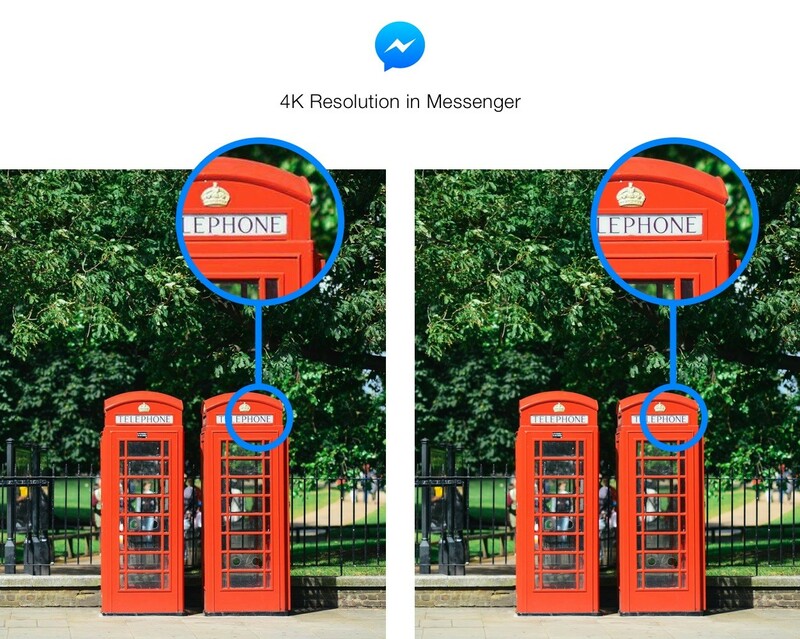 To send and share photos at 4K resolution, first update your Messenger application to make sure you have the latest version. 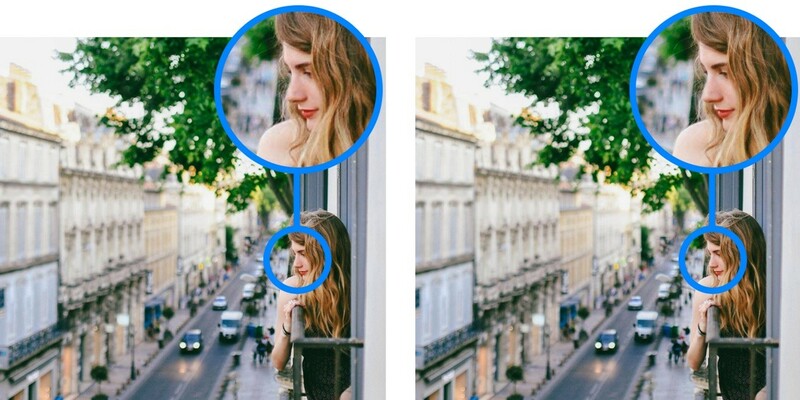 Select the photo, tap send and the person you’re messaging with will receive the high-resolution photo. They also shared a few examples that depict the differences in clarity and sharpness, in short before (left) and after (right) photos. The zoomed in photo seems pretty clear with crisp edges and smooth gradients. Start updating your Facebook messenger now if you want to share your photos now in higher quality. Kisi Bhi Pics Ko 4K Main Auto Convert Kar K Behj Sakte hai Ya 4K Wali He Pics Behj Sakte hai ?